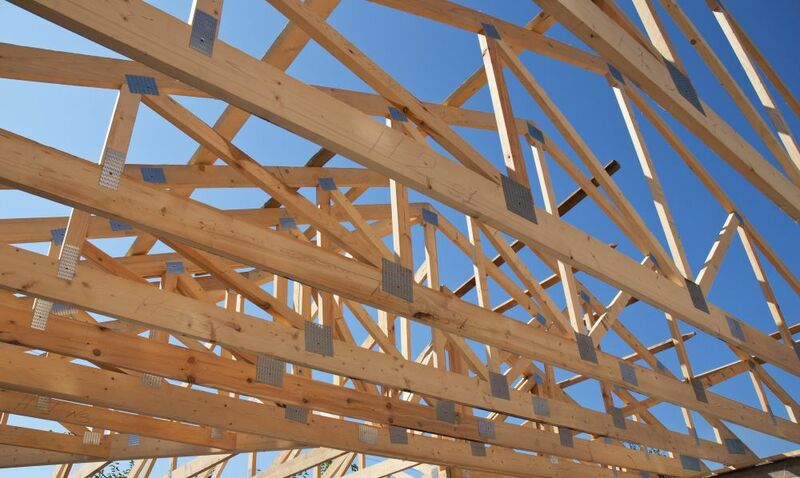 In North America, wood roof trusses are so popular that over 60% of residential roofs are currently built using prefabricated wood roof trusses. In Canada, this statistic is even more impressive. About 95% of new homes contain prefabricated structural components. Indeed, when all the benefits of using wood roof trusses in a construction project are taken into consideration, it is not surprising that their use is becoming increasingly widespread around the world. Here are some of the main advantages of prefabricated wood roof trusses over their steel counterparts. Prefabricated wood roof trusses are less expensive than those made of steel. This is mainly due to the fact that wood is a relatively abundant material and the manufacturing methods used are fast and efficient, which reduces the production cost. In addition, they allow you to save on the cost of equipment needed to install them since most wood roof trusses can be handled without heavy machinery. Not to mention that since they can be installed quickly, you also save on labour costs. Wood offers a range of unique design options that other materials like steel cannot. Prefabricated wood roof trusses can therefore be precisely designed to match the architectural style of a building and can even be customized to meet the needs of owners and building standards. Some roof trusses can even be used to add an aesthetically pleasing decorative touch to a rustic design. They are also compatible with other building materials such as steel and can easily be connected to other wooden structural elements. Wood roof truss production consumes less wood, energy and natural resources than other materials that can be used to build a roof. Moreover, since they weigh less than steel structures, the vehicles used to transport them consume much less fuel. Finally, one shouldn’t underestimate the important fact that wood is a renewable raw material that doesn’t have to be imported. Unlike structural products made of steel, prefabricated wood roof trusses offer maximum energy efficiency. Wood is a material with insulating properties that can be enhanced by a structural design that supports internal temperature control. Indeed, the typical triangular shape of roof trusses includes large openings that are ideal for adding insulation. For all the reasons listed above, prefabricated wood roof trusses are a natural choice when compared to similar products made of steel. UsiHome is therefore proud to offer prefabricated, factory-built wood roof trusses, in addition to a host of other structural wood products. If you have any questions about prefabricated wood roof trusses, you can contact one of our representatives. They will be happy to provide you with information and can even guide you to products that you can easily incorporate into your construction project.